The Wedding Diaries #3 Choosing The Finer Details.. When we first started wedding planning I had no idea how much thought would have to go in to the more intricate details. I just thought ok dress, bridesmaids, venue, cake, flowers done. Wrong! There’s so much more to it that I’m discovering and each decision seems to be a big deal because I love it when the finer details are well thought out. 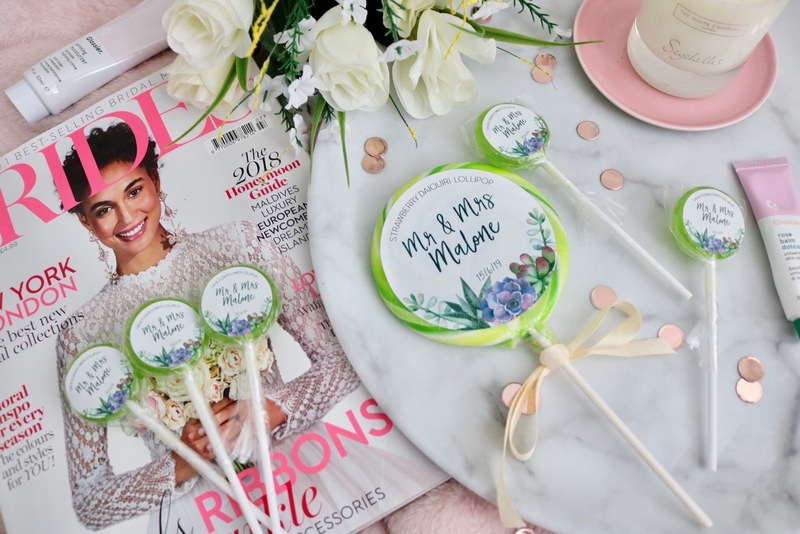 I was kindly sent these cute alcoholic lollipops from Holly’s Lollies to celebrate their relaunch and also to give me some inspiration when it comes to wedding favours and treats. 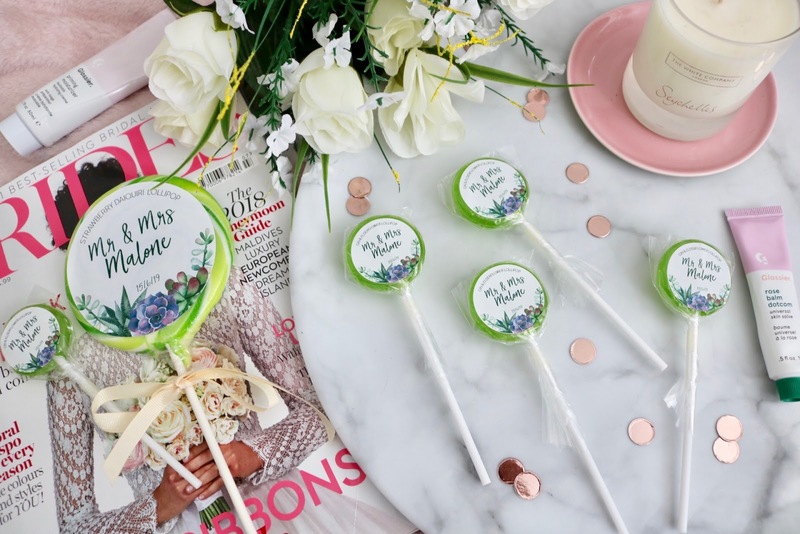 These are the Gin & Elderflower lollies in the mini and giant size, I had Connor helping me with the taste test and we both agreed they are delish! I think it’s really cute how you can add personal touches to them, like your new surname and the date of your wedding. You could even have them as place settings with individual guest names that would be so cute! They can also do them as save the dates or thank you’s to send out before and after the wedding which is a really fun way to do it. They are made with actual alcohol so they aren’t suitable for children, but they do have a non alcohol range full of novelty flavours. I’ll leave a full list of flavours below to give you an idea. 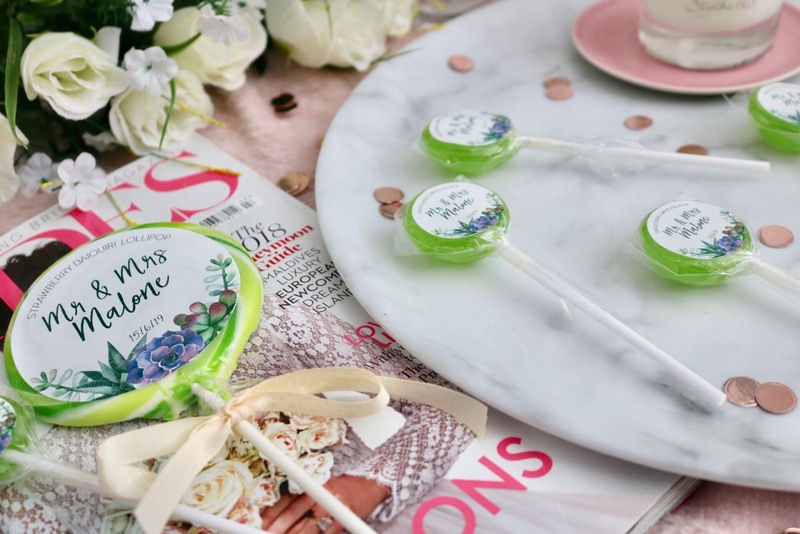 Holly’s Lollies also do sweet alcoholic treats such as Gin humbugs and Raspberry Prosecco humbugs which I’ve never seen done before so I think it’s a fab idea! Alcoholic: Gin & Elderflower, Strawberry Daiquiri, Raspberry Prosecco, Passion Fruit Mojito, Whiskey Cola, Cherry Amaretto, Pina Colada. Non Alcoholic: Raspberry Vanilla, Salted Caramel, Strawberries & Cream. 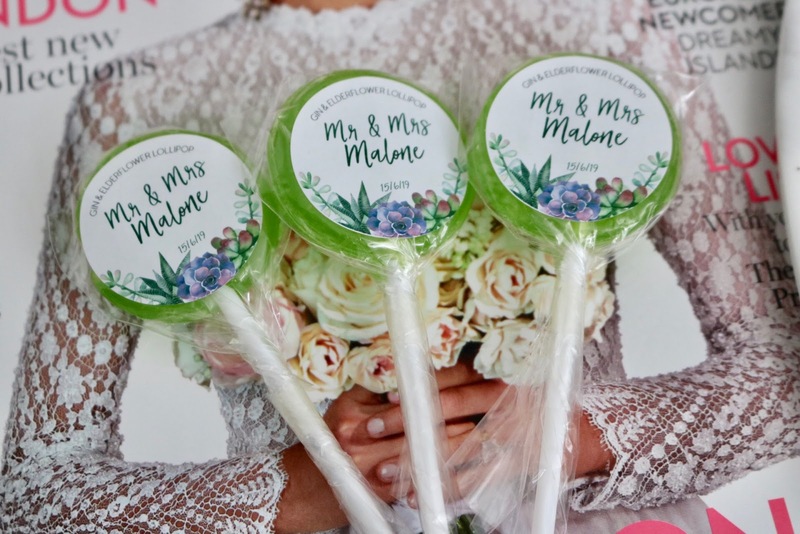 I haven’t fully decided on my wedding favours and place settings yet but this is definitely something I’m looking at because the Gin lollies were gorgeous! What do you think of this idea? If you have any other cute ideas please let me know as I’m all Pinterested out ha! This post contains items that were gifted to me however as always I have given my honest opinion. What a fab idea and little detail. So many things to think about with weddings. These are the cutest! I want to buy myself some of those flavours and I'm not getting married... that's acceptable right?! These are such a fun idea, I love them! They look amazing and so nice for a big event!